While I haven't had this cream long enough to issue an opinion on its effectiveness, I can say that it goes on smoothly and doesn't pull the skin. One application in a VERY small amount is all that's required. It has a fresh fragrance, not heavy perfume. It looks greasy going on, but after a time, is absorbed. I'm glad I purchased it. 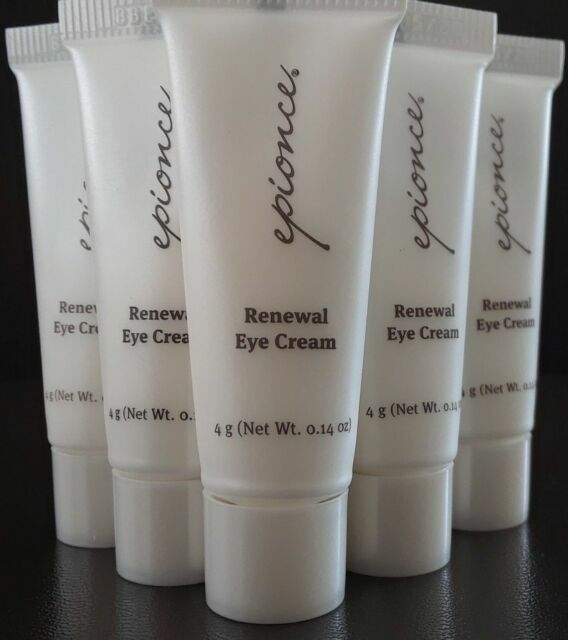 This is probably the best eye cream I have ever used the size of a rice is all you need to do a whole eye upper and bottom. The whole epionce line is truly wonderful. I love this product because it moisturizes without clogging the delicate pores around your eyes. Its just the right consistency. Have used it for about 5 years. A little pricey but worth it...perfect consistency when applying...does not irritate eyelid or eyes. Moisturizes lid and underneath eye without it being greasy...love it! Love this product!. Does not make my eyes weep or itch. So emollient! ! !